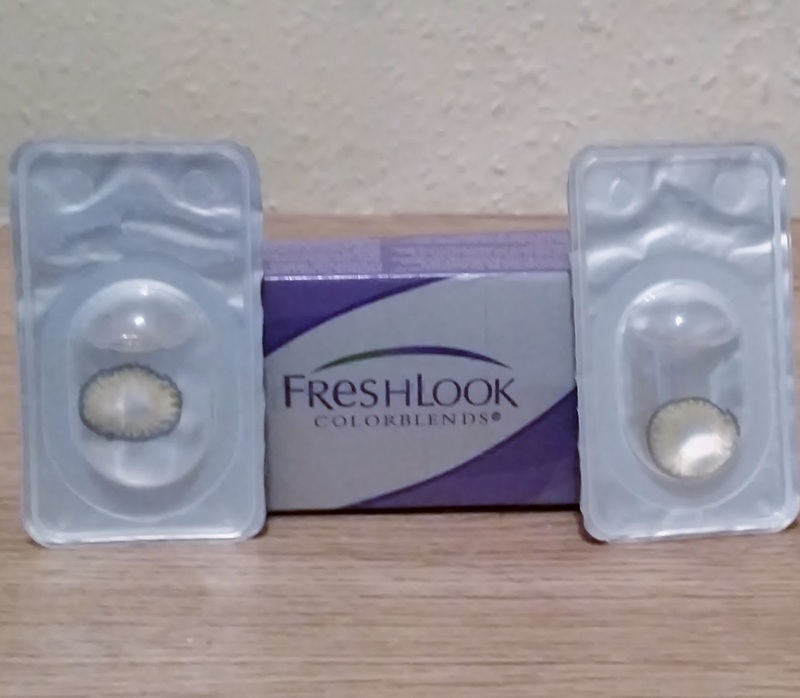 Coloured Lenses UK sent me there fresh look colour blends contact lenses. Coloured Lenses UK offer non prescription contact lenses to either compliment your eye colour or change your eye colour dramatically. Fresh-Look or Fresh-Tone and a wide selection of colours to choose from, the choice is really up to you. There is some handy FAQs on there website that will give you some information if you have any questions. If you do wear the lenses you must have cleaning solution to place them into, after you have finished wearing them. You must make sure they are cleaned and stored properly. If you have experienced eye irritation or have had any eye conditions previously, you must see an optician before you wear any contact lenses. 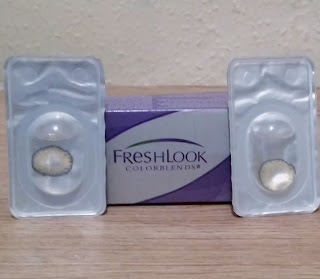 My sister is a contact wearer and has tried many brands to which some she hasn't even noticed she has been wearing to some that have irritated her eyes. My sister has brown eyes so this would be interesting to see if they made a difference or not? She said they were really easy to apply and felt comfortable and soft to wear. Her eyes didn't feel irritated and she didn't even notice she was wearing them. When the time came to remove them, they came out easily and then she cleaned and stored them properly. As you can tell from the pictures there is a change in colour and these lenses look so natural, complimenting your own eye colour. Coloured Lenses UK even offer some cute and unique cases to store your contact lenses in safely as well as all orders over £20.00, you receive free delivery. If your looking for a coloured contacts then check out the link below to see what colours u would like to choose. X Neal.